Smith and Nephew OPSITE Flexifix Dressing (Pack of 6) on a roll is impermeable to water and body fluids and provides excellent adherence even while bathing. This is sold as a 2 inch x 11 yard roll. This is a top quality wound care product by Smith and Nephew, Inc. ADW Diabetes has a wide range of these and other wound care supplies at great prices. 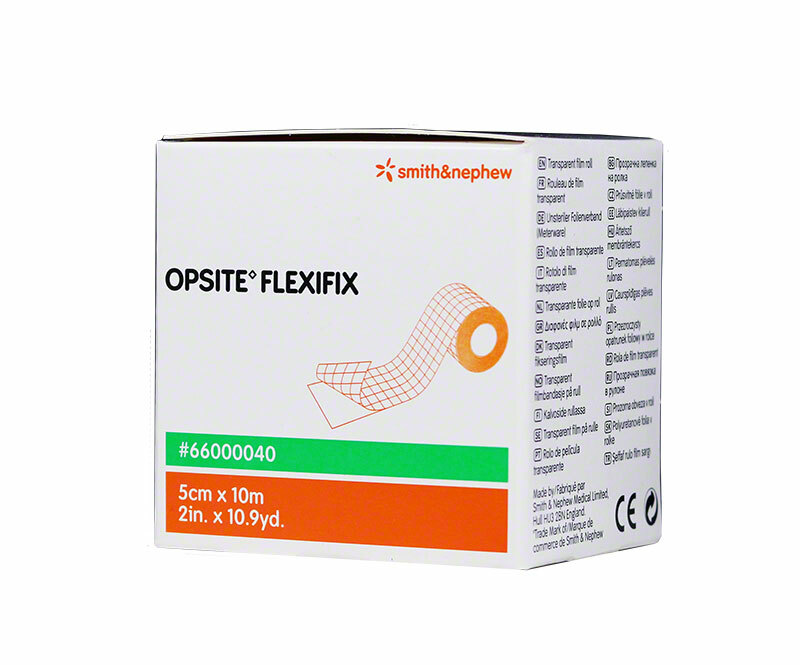 You are viewing Smith and Nephew OPSITE Flexifix Dressing (6-Pack). This dressing is waterproof, transparent film dressing on a roll. OPSITE Flexifix is impermeable to water and body fluids and provides excellent adherence even while bathing. This is sold as a 2 inch by 11 yard roll.